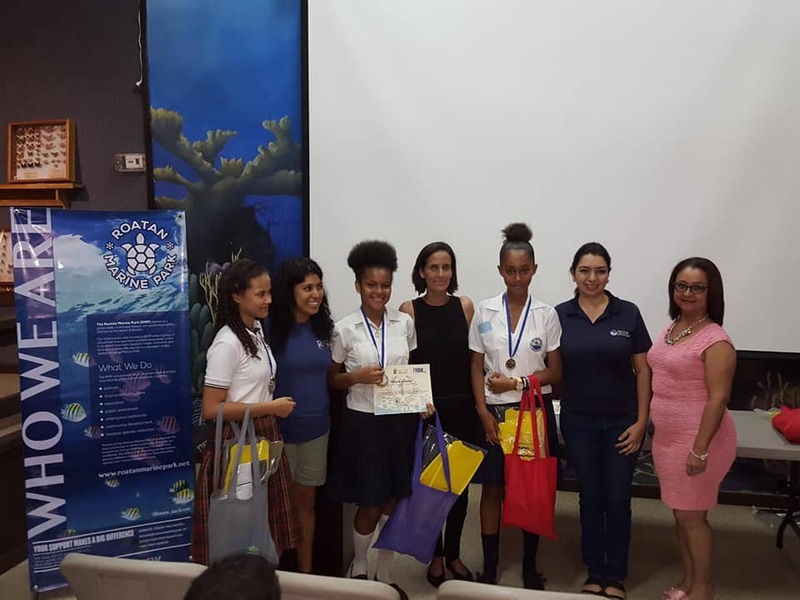 The Roatan Marine Park hosted a public speaking competition under the title of ‘a Roatan reef plastic-free’ (‘Por un Arrecife Libre de Plástico’ in Spanish), open to all grade 9 public and private school students. The 18 participants of the public speaking competition. Photo from the Roatan Marine Park Facebook page. The reason for creating the competition during the International Year of the Reef was that this year, the Mesoamerican Health Report Card 2018, gave Honduras the highest Reef Health score (3.0) of the four countries that make up the Mesoamerican Reef (Mexico, Belize, Guatemala and Honduras), as well as the highest biomass of herbivorous fish. Roatan Marine Park has played an important role in ensuring reef health with the creation of several programmes, including patrolling, education, and alternative livelihoods. 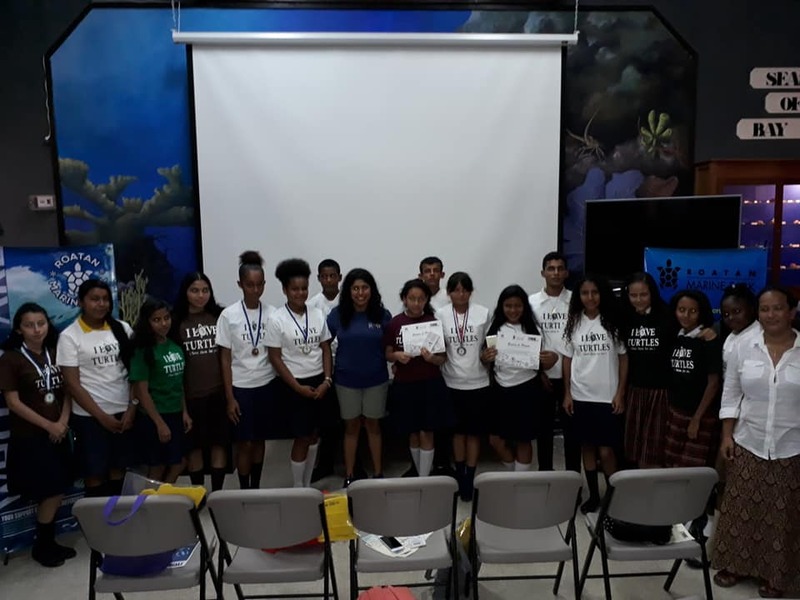 The Roatan marine Park recognised the importance of including young people in this celebration, so they contacted the Roatan Education Department to encourage grade 9 students from all schools to enter the public speaking competition to emphasise the very serious problem of plastic pollution, the reef, its importance, and the action they can take. 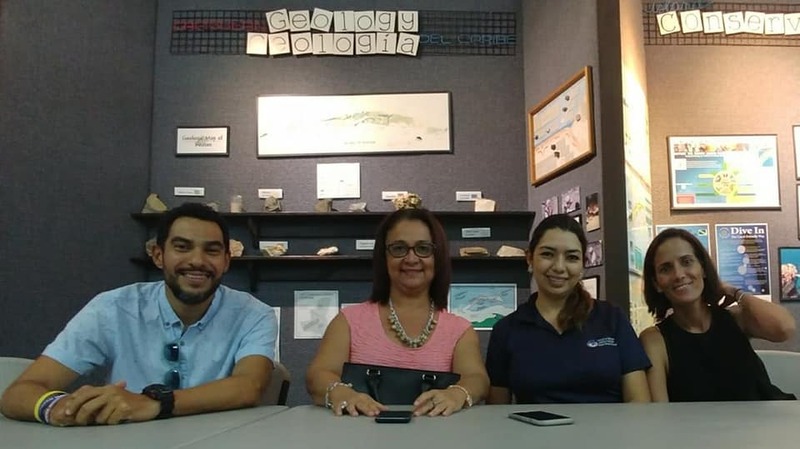 18 participants from Roatan presented their speeches of 5-7 minutes to the panel of judges (representatives from Think Beyond Plastic, Go Blue Bay Islands, Gobernación Islas de la Bahía, Polo´s Water Association and Coral Reef Alliance) at the Roatan Institute for Marine Sciences. The judges. Photo from the Roatan Marine Park Facebook page. Participation certificates were given to all of the speech givers. First, second and third place awards were given for both English and Spanish speeches. 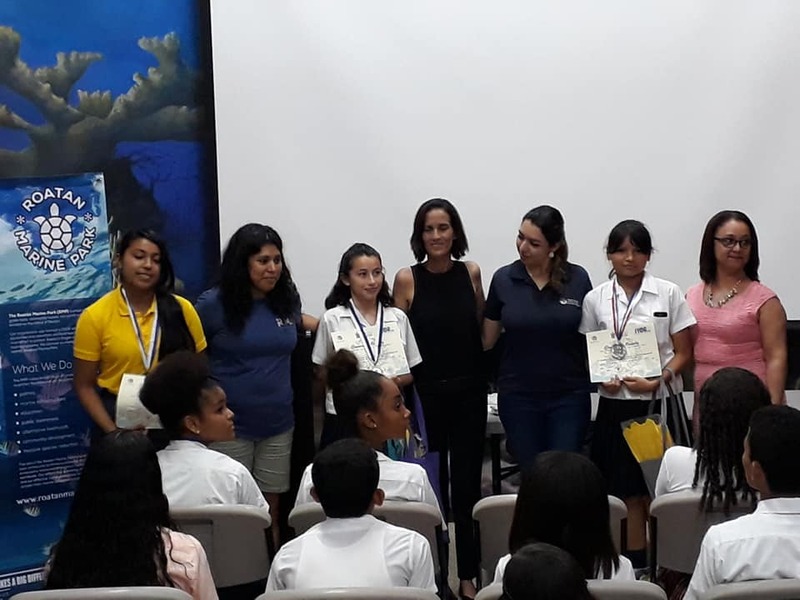 The first place winners from both categories won an Open water dive course donated by Splash Inn Hotel, Restaurant, Dive Resort and Grand Bleu Diving. First, second and third place prize winners from the Spanish category. Photo from theRoatan Marine Park Facebook page. First, second, and third place prize winners, from the English category. Photo from theRoatan Marine Park Facebook page.